Top Selling Tool Loads. Great Brands. 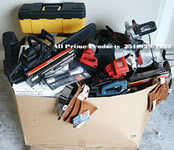 Hand Tools, Power Tools, Shop Equipment, and more. National Home Improvement Chain. 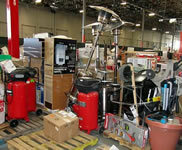 Liquidation tools or salvage tools truckloads generally have a higher average retail price per piece than mixed general merchandise loads. That makes them ideal for auctions and retail stores that like high average ticket sales. 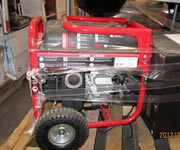 Well branded liquidation tool pallets can bring good bids on eBay. 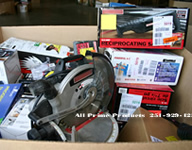 Surplus tools, salvage tools , and liquidation tools are sold by the truckload and can be DIRECT SHIPPED. Cut out the middleman with our Direct Distribution System. Give one of our liquidation tools or salvage tools truckloads with tool pallets of hand tools, power tools, shop equipment, and more a try today. Call for details and pricing.